The advent of widespread car ownership transformed the childhood environments of many children. Suddenly, it was no longer safe to play in the street. 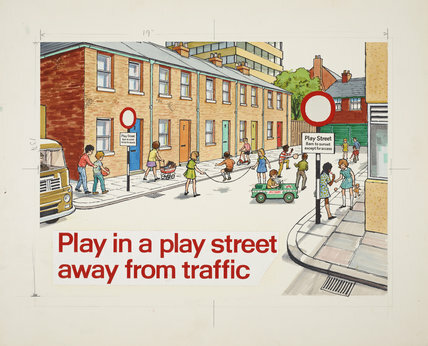 Play streets were designated car-free environments where young children could play safely.